The growler craze sometimes leaves me mystified when it comes to pricing. The range of prices for the same beer at different retailers is confusing. And then you have the nutty policies that come into play at places that offer special growler fill days. Whimsical. First off, I'm not a huge fan of growlers. I've had far too many marginal experiences with under-fills and poor carbonation and, more recently, nasty broken glass. But I still get the occasional growler fill, usually the smaller 32 oz grenade so I can actually drink the beer before it goes flat. The grenade is probably where the problem starts when it comes to special fill days. Pricing is what is it is for standard growlers. Grenades are another matter entirely. They seem to draw the ire of pub owners and managers. Which brings wacky pricing. My first stop on this virtual tour is Alameda Brewing on NE Fremont. They offer $5 growler fills of most beers on Saturdays. That's a heck of a deal. Up until recently, you could get two grenades filled for the same price. Again, great deal. When I visited Alameda last Saturday, the gal behind the bar told me she could not honor the special price for two grenades. Instead, it would cost me $5 per container...the same price as a standard growler. "The owner changed the policy, but it's still a great deal," she offered. I contacted Alameda owner Matt Schumacher about the policy. He gave me a brief rundown of the $5 growler program. It started as a summer promo for the neighborhood last year, set to end on Labor Day. When customers expressed dismay about the end date, he extended it through the Super Bowl. After the big game, he left it in place with no set end date. But there were problems. "Word got out and we started seeing containers in every size and variety imaginable," Schumacher said. "Then a few people wanted to haggle with my staff on price depending on the size of their container. It got out of hand. I had to think of my staff. So I told them all growlers (64 oz and smaller) are $5. That's it." The effect of the policy for me was simple. If I wanted to get two grenades instead of a single growler, it would cost me double for the same amount of beer. Even though I understand the reason for the decision and realize $10 isn't a bad deal, I don't like it. It turns out Alameda isn't alone. McMenamins offers $7 growler fills on Mondays. Their approach is a little different. They choose the special beer each week and the beer varies from pub to pub. They make no allowance for smaller growlers. If you show up with a grenade or two grenades, each will cost $7. No exceptions or satisfaction there. Migration Brewing on NE Glisan has a slightly different view. They offer special growler fill pricing on Sundays...most beers for $8. It turns out they don't have a policy on small growlers. However, what you actually find when you get there may depend on who's behind the bar. "We have no specific policy on grenades," the gent on the phone said. "If you bring in two grenades and want a growler fill, I wouldn't have a problem giving you the special price. Someone else might see it differently. A single grenade on Sunday would be full price." Okie dokie. This is all slightly perplexing. The pricing issues I keep running into are mostly the result of wanting to use grenades to slow down my consumption. I guess it's time to toss that strategy, move up to standard size growlers and start drinking faster. Or forget about growlers completely. $5 for the grenade is a deal, considering some charge $12 - $15 for a growler. Which IMO, is over priced. But I don't mind. I brew what I drink. What's your super power? There's one instance where $5 for a grenade is a really bad deal: when a full growler is the same price. The end. Thanks for looking into this. I've been curious about growlette/grenade pricing. I've touched the tip of the proverbial iceberg on bizarre growler pricing. Trust me. It is easy to preempt the rest of Mr. Dunlop's exposé by saying that there is nothing sane about growlers, full stop. Particularly in Portland. 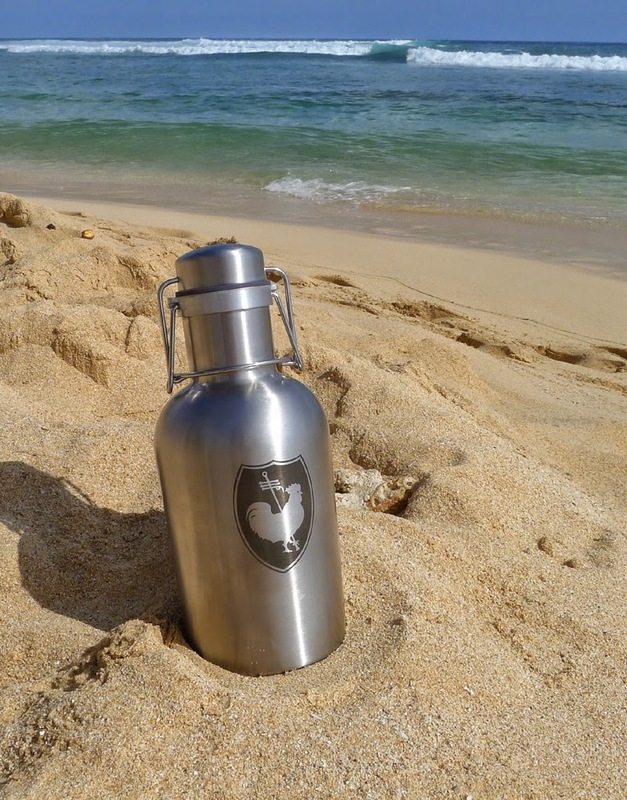 First, a reflection on growlers: they are bulk vessels for storing beverages in a reusable container. Compared to other products sold in bulk with BYO packaging, growlers are a lousy deal. Beers available in bottles, and especially cans, i.e. a good part of many fillers' lineups, are generally MUCH cheaper and more convenient to acquire, consume, etc. It's Bill Night's Bomber Price Penalty on steroids. On the other hand, beers that are not available in retail packages can be had in growlers but not if they are *too* special. Just try to get a fill of Boneyard's Notorious outside of their Bend taproom at ANY price, much less the $20 they charge (it was delicious). There is no added value except the novelty of beer in a jug to the mainstream. Best comment I've seen here since the beginning. The growler craze mystifies me. I believe you are correct about the consumer angle...a good deal of the demand is driven by novelty. From value standpoint, growlers are a loser. On the other end, distributors are certainly making a killing. They're interested in moving volume and growlers help do that. The carpetbagger analogy is fitting. Just wait.